When Aphria, Inc. decided to add supplemental lighting to their cannabis production strategy, they chose LumiGrow to provide them with a cost-effective, dynamically-adjustable lighting solution. Located in Leamington, Ontario, in the heart of Canada’s high-tech greenhouse capitol, Aphria produces, supplies and sells medical cannabis and products. In this video from the Midas Letter’s Cannabis Video Series, James West tours the Aphria facilities and interviews the Aphria team. David Janik, Aphria Master Grower gives a quick demonstration of the LumiGrow smartPARTM Wireless Control System, allowing him to control his LumiGrow LEDs from his mobile device remotely. 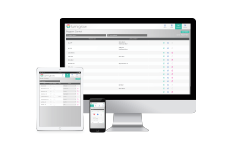 David will be able to easily adjust lighting strategies, use white light view-mode for crop inspection, and implement LumiGrow’s adjustable spectrum to boost terpenes and elicit other desired crop characteristics, all from his mobile device. 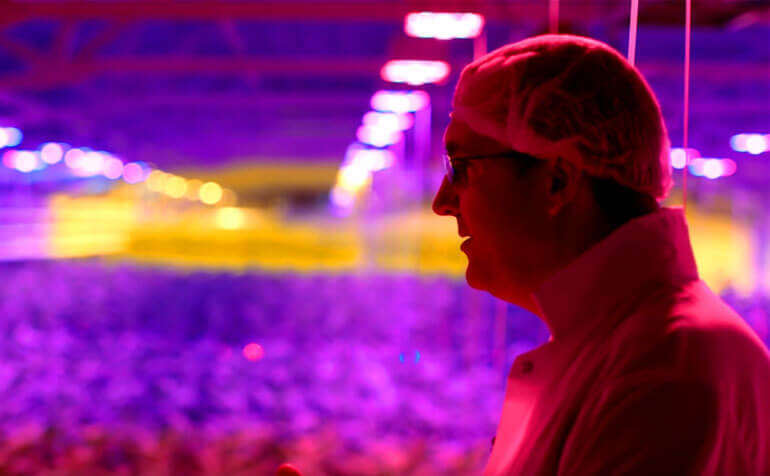 When it comes to maintaining operational efficiencies that drive cannabis yields and quality, LumiGrow lighting technology and our collaborative approach plays an important role at Aphria. The LumiGrow Plant Research Group works with Aphria to help develop crop-specific adjustable lighting strategies tailored for specific growth goals and financial objectives. If you would like to discuss lighting strategies for your own cannabis production, please reach out to us here.